I can’t believe I’m the one making this post as it belies my otaku-hatin’ nature. Hahaha. But yesterday’s Dragon Ball’s 21st anniversary and I forgot to post this bit. 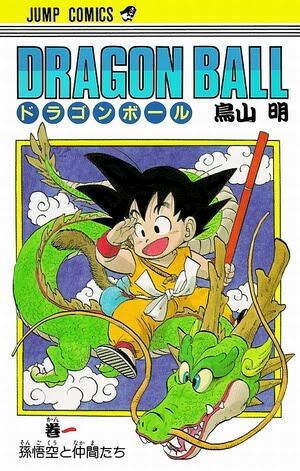 In 1986, Akira Toriyama’s creation aired on Japanese Nihon TV. Oh well, I knew RPN made strides when I first heard Son Gokou speak Tagalog all of a sudden. Sure was a Sunday afternoon shocker. Gino Padilla! This reminds me of his performance during PBA halftime eons ago! The only anime I saw where they didn’t censor Goku and Gohan’s peebody.